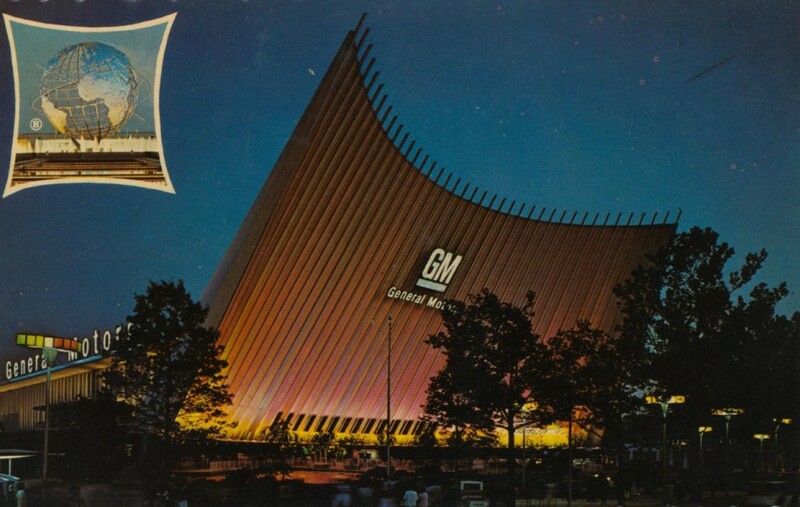 General Motors was (believe it or not) a pioneer exhibitor back in mid-century USA, often with the technical assistance of Walt Disney’s Imagineers. Their Futarama attraction, was created for the New York World’s Fair in 1939, and it was brought back and updated for the 1964 World’s Fair which offered its riders a glimpse into what life in the year 2024 would be like. Here we follow a young boy as he explores a lunar base of operation, an Antarctic weather forecasting center, undersea exploration, set to the typical, positive 1960s, happy-go-lucky thinking about the future of American design and living. The ride itself was one of the most popular attractions at the fair with over 25 million passengers during the 6 months it was open. The building which housed it was one of the largest buildings ever built for a World’s Fair.